Somedays you have a zillion errands to run or woke up late or you just need a quick and easy look that’s still unique and *you*. Express yourself and be comfortable all day in these easy looks. All of these styles are 2 pieces of clothing (or less) yet still look adorable! 1. Tent Dresses are loose fitting and super comfortable for wearing on even your busiest day! Our “Church” dress is packed full of detail and would look great worn with black flats for an instant complete look. Or wear our “Trapeze” dress for a show stopping look, pair it with platform sneakers for a street fashion style. 2. Simple Dresses that don’t need a petticoat make a great option for casual but still unique and lovely outfits. Our “Daisy” dress has cozy long sleeves and a lovely shape that looks nice worn without a petti’. Our “Nautical” dress is intended to be worn without a petticoat and is absolutely darling! 3. Elastic Waist Skirts are very comfortable and easy to throw on. 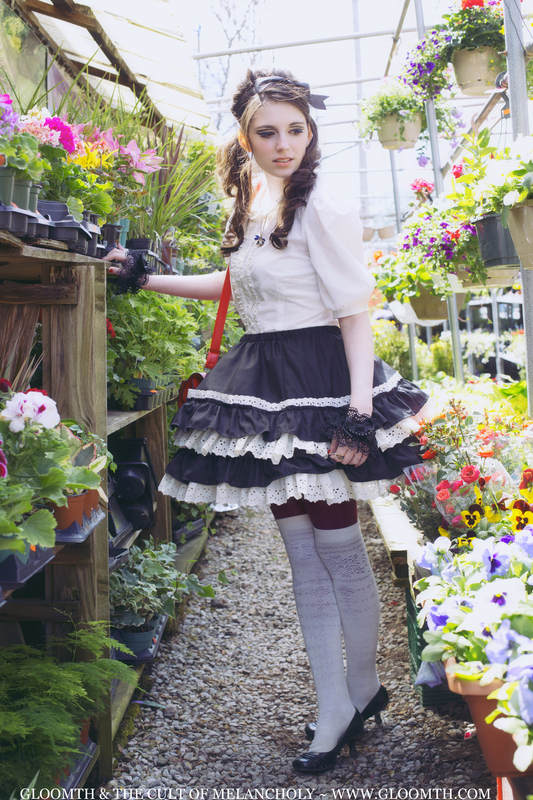 All of our elastic waist skirts can be worn without petticoats for soft a-line looks. Our “Dahlia” skirt looks great worn with a tshirt and flats, or pair our “Amaryllis” skirt with a tank and cardigan for a cute look. What do you like to wear on busy days or when you need to be casual but cute?